NEW! – Online Divorce Application. Click HERE to access the form. Are you ready to apply for a divorce? If so, save time and money by completing our online divorce application by clicking on this button. Once completed, one of our solicitors will call you discuss your application and arrange a time for you to sign the relevant documents. When applying for a divorce, the Court does not take into account of the causes of marriage breakdown. It only requires that the marriage has broken down irretrievably. 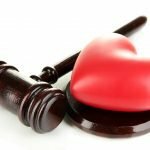 If you are married and you have been separated for at least twelve months, you can apply to the Federal Circuit Court for a divorce. If you have been married for a period of less than two years, you will normally require a counselling certificate before applying to the Court for a divorce. If you have children, the Court has to be satisfied that you have made proper arrangements for your children’s welfare before granting a divorce. Divorce marks the legal end of your marriage. However, your divorce will not settle the parenting of your children, child support, and the division of the property of your marriage. Where no agreement can be reached between you and your former spouse, these require separate proceedings. To process a divorce Adelaide Family Law charges $500 (plus GST) if there are children involved in the separation, or $400 (plus GST) if there are no children from the marriage. Court filing charges and service fees will also apply. Other charges may apply depending on individual circumstances.